Part 1 of a series on Flymaster Instruments – Registering your instrument. Getting started with a new Flymaster Instrument is straight forward but here are a few tips to help you through the process and get the most out of your shiny new toy. When you get your instrument out of the box the first thing to do is put it on charge while you set up a Flymaster account and download the software you need. Head over to www.flymaster.net and go to the Livetracking page, this is where you create your account. 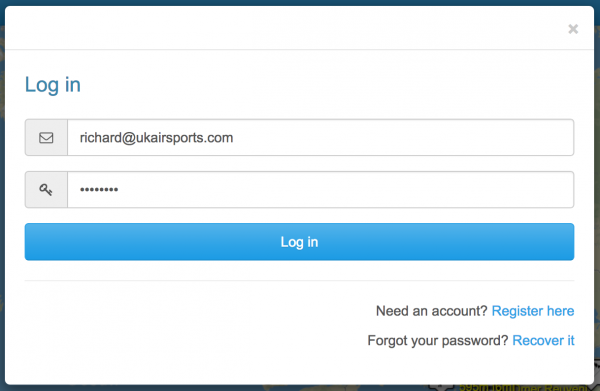 Select the “Log in” option and then register for an account if you don’t already have one. 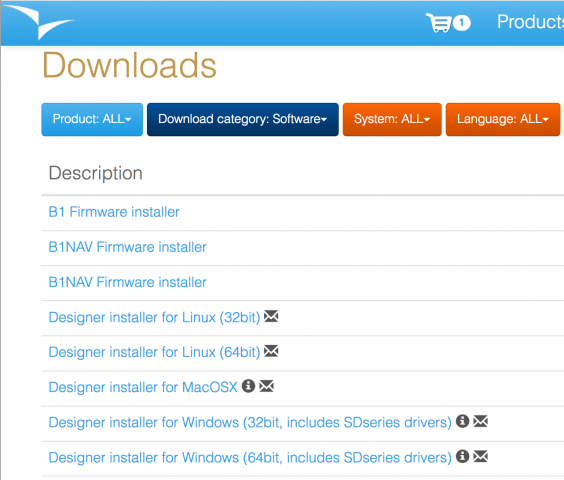 Next you will want to head to the downloads section of the website and get the Designer software. Just select the appropriate version for the operating system of your computer and install it. 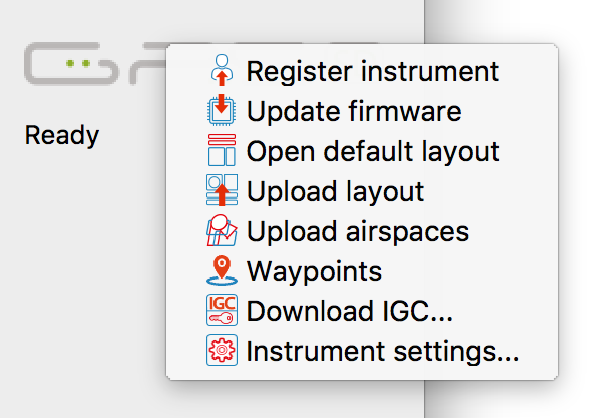 The Designer software enables you to carry out a whole host of tasks including, registering new instruments, updating firmware, loading airspace and waypoint files, changing instrument settings, customising your screen layout designs and downloading IGC files for your flights. Open Designer and connect your Flymaster instrument to your computer, you should see the instrument appear in the RHS of the designer window. 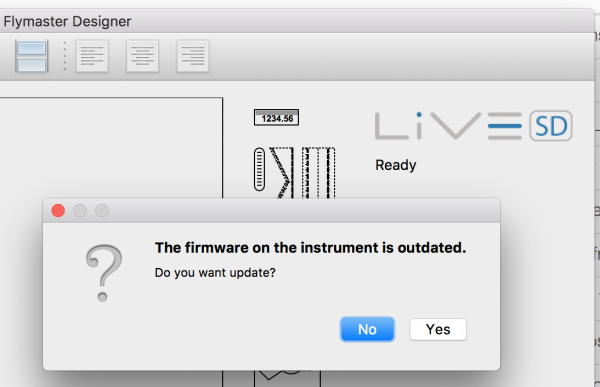 If there is a new version of firmware available it will prompt you to update. Keeping your firmware up to date ensures you always have the latest features and any bug fixes installed. TRACKER or TRACKER-3G, this is registered when you activate the included SIM card here, you will need a PayPal account for the monthly subscription. VARIO-LS, VARIO-SD, GPS-SD and NAV-SD, these are registered through the link that appears when you click on your instrument logo in the Designer software. GPS-SD+, GPS-SD-3G, LIVE-SD and LIVE-SD-3G are all registered through your account on the designer website. You should now have your instrument registered and associated with your Flymaster account. You can now head over to the tutorials section where there are a whole host of videos to help you get up and running.